Disclaimer: Although this site is built by counselors, its content should not be considered professional advice for your specific situation. It should be read as you would read a “self-help” book. For more specific counsel, you should seek the services of a therapist who can become more intimately familiar with your specific situation. Ask Your Question: Submit your personal affair-healing question. Recovery Room Podcasts: A series of audio programs addressing various affair recovery issues. Recommended Books: Our best suggestions for additional reading resources to help in your affair recovery process. First Aid Course: Instruction, downloads, and audio coaching are included with each lesson of this free course. Understanding WHY: A 10-step course for unfaithful partners. Affair Articles: Tim Tedder and guests write about issues related to the experiences surrounding affairs and recovery from them. Most articles are available for download (PDF file). Affair Healing Manual: 14 chapters, exercises, and 18 worksheets to guide betrayed spouses in active healing. Affair Stories: Stories about affairs told by the people who experienced them. Blog: Shorter format articles written by Tim Tedder and guest authors. Newsletter: The best way to receive free downloads and resources sent to your inbox. It's absolutely free. No gimmicks, and you can easily unsubscribe at any time. Questions & Answers: Tim Tedder answers the questions commonly asked about affair issues. Ask Your Question: Our counselors answer submitted questions. Personal Coaching: Schedule video or phone coaching sessions with Tim Tedder (individuals and/or couples), Jennifer Gingras (Individuals and/or couples), or Sharon Tedder (betrayed spouses only) for professional help in your recovery. Online Course & Groups: Various online programs for individuals and groups to help move toward affair healing. 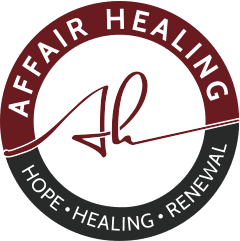 Affair Recovery Retreat: Intensive 2-3 day counseling retreat for couples traveling to our central Florida office location. Section includes the following pages: Retreat Application, Retreat Q&A, Travel & Accommodations. Free Phone Consultation: Potential clients may book a free 15-minute phone consultation with any of our coaches/counselors.